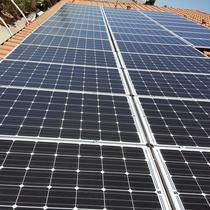 We are a leading California solar installation company. We pride ourselves on educating you, the homeowner, about solar while guiding you through the process of making the switch to cheaper, greener electricity. Our in-house installation crew has been working in solar for over a decade and has experience installing on all types of roofs, including tile, metal, and foam. At Ra Solar, all of our systems are designed with top-rated technology warrantied for 25 years. "Excellent Installation and Profession Service"
Henry is awesome in explaining the whole process and how the monthly billing would work out with PGE. My existing panel was not up-to-the-code and delayed the project a little. Henry had been very flexible on how I would like to resolve the panel issue. I ended up hired another contractor to rectify my panel. Henry kept working closely with him to ensure the rectified panel will work with the new solar system. At the end, the rectified panel and the new solar system got the permit without another hiccup. The installation was quick and professional. Tarvee did a great good and his team came back for some touch up job as promised. The equipment is top of the line. I have been using the system for a year. The power generation matches the original estimation. 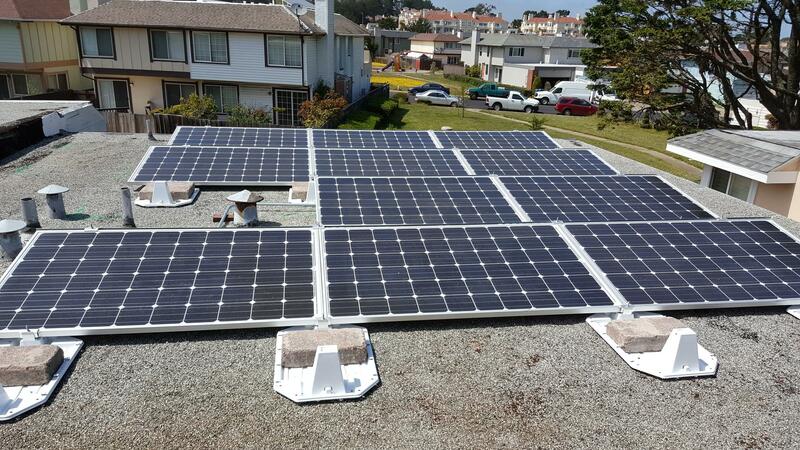 "Quality, cost-effective and conscientious install"
RA solar did a 9.6kw install for us in Danville last August. They showed up when they were supposed to, worked diligently, finished on time and budget. They did a great job and were very careful to get everything right and tight. They painted the conduit and other little details that when I’m driving around the neighborhood, I see wasn’t done on other installs. Price was good. I would definitely recommend RA (and have actually). Our monitor lost connection (due to me rearranging our network) and they called quickly, offering to come over. So, they rank high on responsiveness and service in my book also. "Excellent Service - Solar Company"
I wanted a purchase plan and they offered me a plan which worked for me. Varney Johnson was great with the sales part always staying in touch and very informative. Henry Colton was the project manager and he could not have been more helpful. Overall great customer service from RA solar entire team including office staff - Shauna Buchanan Office Manager. Thanks for all your help and support. "1 year after the install & very happy with outcome"
Our 18-panel system was installed in March, 2018. I deliberately waited a year so I could provide a longer-term perspective. We are very pleased with the outcome and strongly recommend Ra Solar. I am going to touch on several aspects of the process. 1. Sales. The "sales" person was 0-pressure. He presented various options and explained the pros and cons of each. When it came to panel positioning, he was clear about the locations that would maximize our power generation, but also was supportive of ensuring our aesthetic concerns were addressed. 2. Install. The install was quick. The team always kept up-to-date on when they would arrive, what the next steps were, etc. They kept all work areas clean. They included us in key decisions that relating to the aesthetics of the outcome. They painted the conduits to match the roof color. 3. After go-live support: Our first inverter failed and needed to be replaced 1-2 weeks after we went live. Based on all the reading I've done, this is not an unusual occurrence for an inverter: If they are going to fail, it will happen pretty quickly. Once they make it past the first few months, they typically go 10-20 years without problems. The Ra Solar team was very responsive and effective. They ordered the new inverter, installed it as soon as it arrived and compensated me for the lost energy production without being asked. We've been operating ever since without any problems. 4. Power-production guarantee. Our total power production has slightly exceeded the guarantee for the year. This is an impressive outcome, as our area experienced 2 weeks of low air quality & haze due to the massive wildfires of Nov'2018. I hope this helps you with your decision making process. Finally my electric bill was just high enough to justify getting solar panels. The Energy Sage site was very helpful getting quotes and educating me all about solar and what to expect from it. I received 7 quotes and invited 4 of the most promising for an on site visit. Renato from RA Solar seemed the most informed and described the install just like I had once planned a DIY solar project before a brain tumor and old age stopped me. Renato's price handily beat all the others. Following some delays on my part and after some minor contract changes were resolved, things moved at light speed (pun). We were given PTO in no time flat. Although we had no shade issues, I decided to go with microinverters to easily add more panels at a later date. The only minor negative is the monitoring APP doesn't work my older smartphone, but WEB is O.K. "Great experience with Ra Solar!" These guys were great from start to finish! They gave me a very good price, got the install done quickly, and used top notch equipment. When they discovered that I was going to have more shadow (and less production) than they initially thought, they made it right by adding extra capacity free of charge to make up the difference. They also installed a new sub-panel as part of the install that allowed me to install an EV charging station afterwards. All in all, I have no regrets whatsoever. I used energy sage website to research on solar companies. Based on the initial response I reduced the list to 3 and selected Ra Solar based on the quoted price. Henry was on top of the job from the beginning. They took care of necessary permits and was present as and when required by different city inspectors. The system suggested by RA Solar till now is doing a great job. Even after an year when I have any question Henry is happy to respond and provides additional details. Got a small refund from PG&E as part of true-up. RA Solar also changed by panel for a nominal cost. "Pleased With The Whole Process"
Ra Solar was one of the installers that EnergySage came up with for my job. I had never heard of them but decided to look into them since they were on the EnergySage list of candidates. They seemed legitimate so we contacted each other. I see myself as a somewhat educated consumer in this area and I had gotten myself to perhaps 75% convinced that I wanted to move forward at an acceptable price. Ra Solar was substantially less expensive than the quote I got from Tesla. They answered my questions and addressed my concerns regarding the number of panels, location on the roof, type of inverter, etc. We cycled through some options and came up with the final design. They took care of the permit and the installers (at least in my case) had a roofing background so I felt confident that they wouldn’t damage my roof. They’re friendly, easy to deal with, responsive to questions (even after the last check has been sent). I was very pleased with the whole process. Just completed 12 months on my Panasonic/Solar Edge solar system installed by Ra.Solar and the true-up was $30! How great is that!! Was very happy with the whole process with Ra.Solar who took the time to explain different product options, size of the system, and did an excellent installation work. Kudos to the team! "Excellent solar Installation and Service"
I'm very happy that my solar system was installed by Ra.Solar. Now, my wife can turn on the air conditional in hot summer day and portable heater during cold winter without worrying about an increase in electric bill. My son is basically having the portable heater in his room on all time during this winter and no more complain for unable to sleep at cold night. Henry Colton (project manager) had provided excellent consultation and services during and after the installation. Besides, I had recommended Ra.Solar to my co-worker and he end up choosing Ra.Solar to install his system as well. I have 5kW of solar PV from Ra Solar at home installed since last May'18 at the most competitive price. Solar system works great as Ra Solar committed and I am considering even additional panels!! I had Ra solar install my system in December 2017 and have now had it up and running for a full year. I haven’t had a single electrical charge other than the PGE baseline service fee of $10 a month and I’m actually running a credit based on the fact they produce 110% of what I need. The installation was done professionally and their customer service team assisted in the set up. I needed a new electrical panel due to the fact that I did not have a main disconnect, and they were able to arrange for that work to be conducted simultaneously. PG&E put a new pole outside of my home and while doing so damaged some of the system. Ra solar came out and made sure it was repaired and up and running at no additional cost. I’m very appreciative of their services and will be upgrading the system later in the year to accommodate an electric vehicle. From start to finish, their team of installers/project mgrs/sales team provided exceptional service. They were always willing to listen to my concerns and answer any questions be it by phone or email. They also assisted with coordinating with my Electrician and PG&E to help complete my 200 amp panel upgrade which was going to make my Solar install that much easier. In all, I like the design of the panel layout as I currently have 24 panels w/ 24 inverters. I couldn't be happier and was able to get 30% tax credit for all of my project expenses. Henry was the man!!! Thanks again RA Solar! We had them install about 13 panels for a new solar system. They were fast, helped with permitting, the system has been in place for about a year and we are very happy. We would recommend them without hesitation! We had 2 installations of ~6KW with ra solar and the whole process (installation, inspections with PGE) went pretty smoothly. They communicate pretty well and are responsive to any changes we request. Henry, the project manager, Shauna from front office and Varney all have been excellent . They had the best quote for both our installations with the best panels (panasonic). "Very good experience with this installer"
Ra Solar installed a solar system on my house for 6 months now. They provided a seamless process from beginning to the end. Persons on each point from on site checking to installing, to the follow up, show their professional quality. System installed on time and work fine. And the price is better than other installers. Should Recommend to other home owners that are searching for a trusted solar company to install a solar system. "Our Overall Exceptional Experience with Ra Solar!" We have been solar for 5 months and it has been great including our experience with Ra Solar. Our solar system is functioning as designed and we have no complaints! So yes, this is a 5 star outfit when it comes to solar installs and a 5 star result! I confess though in the beginning, I was a solar skeptic until I did the math and research using EnergySage where we discovered Ra Solar! We had several bids and in home visits from various contractors and thru this Ra Solar stood out above the rest – in how they answered questions, responsiveness, system cost, getting the work done and doing it in a very timely manner. Ra Solar was flexible with our design and helped us to achieve our desire to have added margin in our system. Once the design was settled and contract signed the system was up and running in 3 weeks (including a main power panel upgrade - due to the size of our solar system). The actual panel upgrade and solar install took 3 days and we were producing power! Ra Solar handled all the permitting, the subcontracting with an electrician for the power panel upgrade (he did a fabulous job), the solar install (the team that did it was really professional and caring down to the details of touch up painting and cleanup) and the final permitting with PG&E. Again, a 5 star result! "Very happy with our Ra Solar installation!" We chose Ra Solar 10 months ago to install solar panels on our home. Everyone was very easy to work with - the estimator, the installers, and the manager. They installed Japanese Panasonic panels (as opposed to cheaper panels made elsewhere) for a very competitive price. I did a lot of research, and wanted to make sure that the number of panels will cover 100% of our electrical usage from the prior year. They worked with me to satisfy my requirement. Overall, I am very happy that I went with Ra Solar! "Excellent service provider - cost effective, efficient and client friendly"
Ra Solar had all of the experience drivers you would look for in any service provider. We used Ra Solar for installing solar on our home in Fall 2018 and were very happy with them. We did a lot of research comparing various installers on Energysage and on other review sites and there were two themes about Ra Solar which made us go in their direction - listening to customers and no surprises at the end. Our experience was exactly that. The end to end time for us was about 7 business days, including the city inspection, which was fantastic. Upon completion, they also sent the tax forms and other documentation promptly. We highly recommend Ra Solar for your solar installation needs - you will not be disappointed. Ultimately, it was a great experience because they have great people working there. "Great Company, Great People and Superb Service"
I've contacted Ra.solar after talking to multiple solar providers, including the biggest names and even a few from EnergySage market place. The research for my solar took me approximately 6 months, and at the end of the day, Ra.solar was the clear price leader. On top of being the provider which give me the most out of my solar dollars, Ra.solar was very easy to work with, they made accommodation to my schedule, gave me some advised on my tree, and worked with me directly with regard how to place the panels in the most efficient manner while keeping aesthetic as much as possible. Actual installation was super fast and the installers were always on time! After reviewing multiple bids from Solar Installers, we went with Ra.Solar due to the responsiveness and also providing us a competitive price for a Tier 1 panel. After having our system run for 6 months plus, I finally have time to give my feedback on our Ra.Solar installation and support. I want to state that from their sales team to the installation lead and crew to their after support. It has been a great experience. Varney who was the sales lead was very responsive and worked with us carefully on making sure we are purchasing the right size for our future needs. Everyone on the team was very supportive and responsive. Henry Colton the project manager helped coordinate the installation perfectly. The installation crew was awesome and was educating throughout the installation. They were very prompt and even painted the conduits to match my roof and color of the stucco. I cannot be any happier in choosing Ra.Solar. I have no hesitation in referring Ra.Solar. Had a great experience working with Ra Solar. Everyone I worked with was very professional and responsive. I also found them to be competitive on the pricing. I would highly recommend using Ra Solar. I had Ra Solar install 14 panels on my metal tile roof. They’re one of the few vendors willing to install on this type of roof due to the risks of damaging the tiles. They did a great job with the install, had the whole thing done in one day, and even came back to paint the electrical conduit to blend in. Great team, would highly recommend them to others for the quality of work. 2. They could easily answer any questions I had with ease. Other companies I dealt with employed sales people with very little technical knowledge (didn't know the difference between kW and kW-h) and used high pressure sales tactics. This was not the case with Ra Solar. 3. They were well reviewed by previous customers. The overall process was very easy. They took care of everything, including all communications with PG&E and the city for the required permitting and inspections. They also worked with me to make sure the aesthetics of the project were to my liking, including arrangement of the panels on my roof, location of the inverter, and routing and painting of the electrical conduit. The actual installation of the solar system was completed in just 1 day. Upon completion of the project, they provided a packet with all the relevant information I needed regarding my system, including instructions on how to complete the federal tax credit form which was very helpful. I would definitely recommend Ra Solar to any of my friends or family looking to install solar. very competitive quota, and installation process went smoothly. I am very happy on their solar installation service and enjoys the savings of my PGE bill. "Love my panels and loved the whole process with RA Solr"
RA solar had the most competitive offer. And Henry made the whole install process a breeze, design and cost was clear; and easy to understand. They made sure I understand the complete process and it was really easy. My system was up in a day and they handled all permits etc. I am a project manager myself and was very impressed with the project management. Recommend RA Solr to anyone interested ! "RA Solar - Very Professional"
After reviewing, 5 different quotes, I have decided to go with RA Solar as their quote was lowest per Watt. I have interacted with 4-5 different folks but all of them acted as one team. They visited my site in person two times before giving quote and their installation engineer stopped by day before to check if everything is in order. Installation was completed within a week and they worked diligently with PG&E and city to get all the necessary permits. I have waited for almost a year to write this review because I wanted to make sure solar systems operates well for solid 8-10 months. Everything seems fine so far. 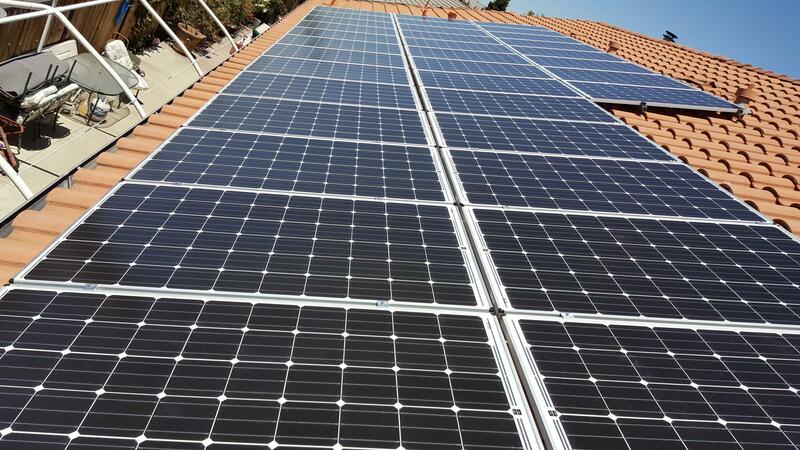 "RA Solar - My custom high tech 6.9KW Solar System!" Energysage will provide several quotes from local companies. I went beyond that to Sunpower, SunRun, SolarCity. You might have better trust in the larger companies for support and warranty issues. Maybe not, read their reviews. I still went with RA Solar because of their great price and warranty. Not only that, I requested a special SMA Sunnyboy inverter that provides backup power in the event of a power failure. Other companies stick with what they normally install and push only that equipment. Understandable, for that's what they have negotiated their best pricing to give you that good quote. RA Solar reviewed my request, did the extra engineering for it and quoted my special system. I checked their pricing against SMA suppliers on the web. The quoted price I received for equipment I picked was very reasonable. Go with high performance panels. My 21 Panasonic 330W panels just the other day reached 7KW, exceeding their rated output. From the quote, answering questions, installation, support and documentation....they were great. Go with RA Solar for your home. I'll be using them again for my battery system. "Ra Solar = highest recommendation"
RA Solar is a very customer oriented and responsive company. It was the best priced of the five companies I had quotes for. The panels were top of the line Panasonic. 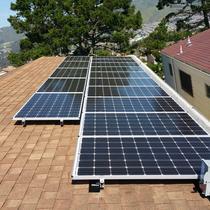 The installers were professional and installed 18 panels in a day with an eye for aesthetics. Henry and Shauna were there to walk me through the process of contracts, permits and installations as well as warranties. Kirsta was proactive to be sure I got the $250 rebate from Panasonic which was part of the program. Overall, the company and people were outstanding and I give it my highest recommendation. I am saving about $200 a month with these panels. I was hesitant to go with RA Solar at first because I have never heard of them. But after two disappointing negotiations with other vendors, I decided to go with Ra Solar and I am so glad I did. Everything went very smoothly and post installation support (it has been a year since I had my solar panels installed) has been excellent! Henry and Shauna were exceptional and I had no problems whatsoever! 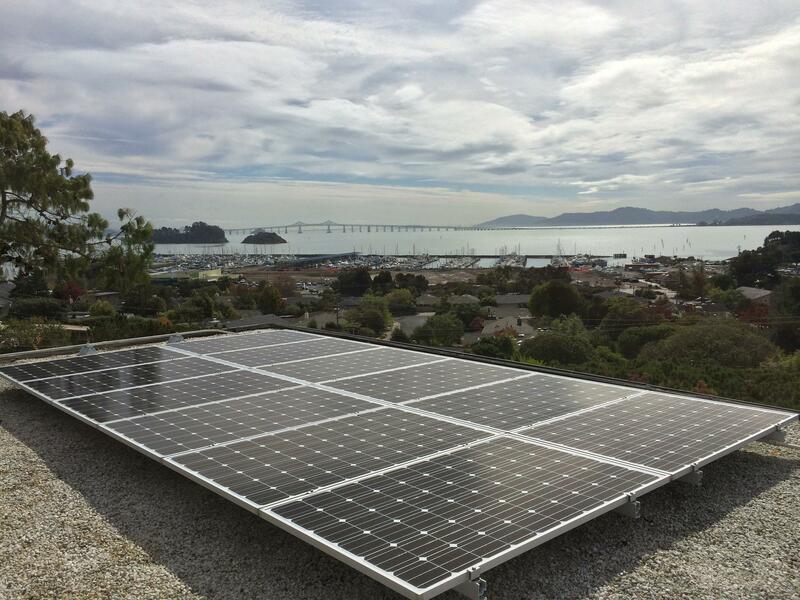 "Prompt Response and Quick Installation"
After hesitating on getting solar for about half a year, we finally made the decision to buy a system. Ra Solar gave us the lowest quote out of 6 companies. After selecting them, they quickly sent me a new quote with the same price as 6 months prior and assured us the system can be installed before the new year. The only delay we experienced was getting the permit, but that may have been partly due to the PG&E fires. We were able to do most of our communication by email, which was great since we don't really have time for phone calls during business hours. "Great price and great work!" Im very happy I went with RA solar they got me the best price and great system. The work was done very well and very fast with quality products. Would not hesitate to use them again in the future. The company offers competitive quote, turn-key service and good quality panels. 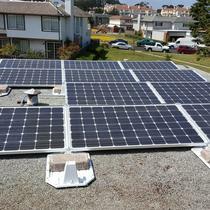 I was shopping for a solar system in San Ramon, and got a few quotes from Energysage. Ra Solar was already the lowest price and was flexible to lower it a bit further, at no expense of service quality. The panels were installed as scheduled, with all the paperwork coordinated. The system works normal as promised. I am happy with the service. Highly recommended! I was referred to RA Solar by a neighbor. We had already gotten several quotes and were surprised to get a much better quote from RA Solar while finding out that they also use superior panels. Every person we worked with at RA Solar was knowledgeable and responsive. Our install was so fast and well done. And our electric bill is so low now. We haven’t done the annual true up yet, but I expect it to be in our favor. If I was doing solar on another property I would choose RA Solar again. We have had our solar for about 8 months. And we are helping the environment everyday by producing solar energy. Getting a quote is easy. Just give them your address and they will do a high level preliminary quote. "Great experience, system still working great after a year!" I had long been interested in adding solar panels, but thought that the cost-benefit was still not right for me. After a door-to-door salesperson gave us some surprising numbers, I decided to take another look. I went to energysage, and got a good number of quotes quickly. One of the quotes was from Ra Solar, and it looked really good: the proposed equipment seemed good, and the price was great. I had some communication with them, and mentioned that, after thinking about it a bit more, I was interested in a slightly larger system. They were able to quickly adjust with a new quote, and I went with them. They kept me appraised of what the process would be like, including timing with permits etc. The actual install was nice and easy, and our system started working great. There was a rebate on the solar panels they used, and I was able to claim that easily when they sent me pictures of the installed products. Now, it's just over a year later. Everything seemed great right after the install, and I was hoping that would continue. And it has! I'm very happy we went solar, and I couldn't have asked for a smoother process or better outcome. "Professional planning, competitive pricing, very quick & clean work"
We spent weeks researching solar installers and had site visits and serious interviews with 6 companies. EnergySage was very helpful in helping us narrow the field. Once we picked ra.solar things moved very quickly - work was completed and running as promised more than a month before we expected. Since completion monitoring has been very easy - and we love our shrunken PG&E bills! "Excellent on Installing solar, upgrading electric panel and installing Tesla Charger"
2. Provide very detailed documents for the project and handles all permits. 4. Being flexible to accommodate my request on how to run wire and where to install the inverter. My request made their job harder but they do it anyway. 5. The system has been running for 4 months and everything is great. "Excellent Service and Very Competitive Pricing"
Reach out to Ra.Solar, as they don't disappoint. I worked w/Renato Primo who was top notch. He's very knowledgable and offered very competitive pricing for our system (Solar Edge & Panasonic Panels). The installation crew was just as awesome and very professional. The whole process was smooth and I highly recommend reaching out to them. Initial contact with Sales was very responsive. We then worked with Henry on a design. I had some special requests which Henry accommodated. Once I was satisfied with the final design, installation was very quick. Overall experience with RA Solar was excellent -- I can't fathom why others would pay more for less! One of the smoothest installation I did last year. RA Solar were transparent and communicative from the get go. It’s been 8 months and I am glad I went wither the recommendations for panel positions. I am generating decent energy even in the winter. regardind the addition of a home solar system. on time, on budget , and excellent results. We strongly recommend RA Solar. It's been 6 months since the solar system was installed. I am very happy with the way RA Solar handled installation, permit and co-ordinating with PGE. I would definitely recommend them to my friends. 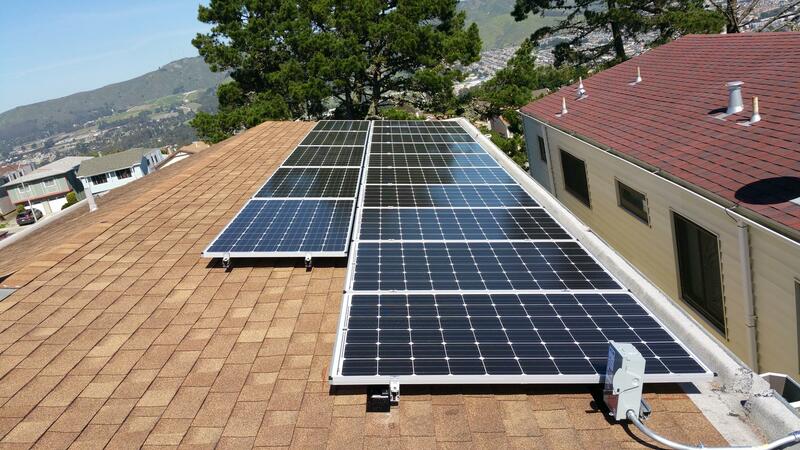 "Great customer service, high quality work, and quick install"
Ra Solar is a great company that highly recommend. They made the entire process seamless, from selecting dates to working with PG&E. They were also the best quote and most responsive for me. I had a great install experience with Ra Solar. They installed an LG based solar system for me using micro inverters on my single family home. Ra Solar did all their work on time and quickly, and quoted a very competitive price. They were able to also come by after ward and offer to install minor upgrades on the system free of charge. I really liked their service and promptness. I'd do it again! I interviewed a couple installers. Ra Solar had the best price, yet still had high quality equipment. Every question or email was replied to promptly and the system was fully installed and running very quickly. I highly recommend! I recently had a solar system installed by Ra Solar. I was very happy with the total experience. From my initial contact, followup communications, estimates, information and the final installation, the total process was first rate. I particularly appreciated the the fact that my concerns were listened to and addressed in every way. The installation was quick, complete and the attention to detail was top notch. I highly recommend contacting and working with Ra Solar. Excellent service from sales to planning to estimate to installation. It was pretty intimidating picking a solar company to go with but right from initial email exchanges with Renato and Henry I felt in safe hands. We had a couple of false starts due to bad weather hampering the start of my installation and finishing of another clients job but I felt informed and well cared for even with these weather delays. After care has been excellent, additional work (EV charger etc.) has been first rate and installed to my wishes (location, internal cabling). No regrets from choosing Ra, they did an excellent job start to end. Last year I was in the market for solar and had actually planned to go with a solar company that also sells cars. During that process I looked at alternatives and approached Ra Solar for a quote. Their price for basically the same system was much better. The sales people were extraordinarily prompt, knowledgable and polite. I decided that Ra Solar was going to be my solar partner and I signed on the dotted line. Installation started within only a few days for me and only took something like 2 days. I was up and generating power in less than a week from signing. The installation was clean and very professional. Following up there had been an issue with a modem that is used to communicate between my house and SolarEdge (the inverter provider). I actually didnt know about it but Ra Solar did and reached out to replace the unit. This was a chance for me to witness first hand our their service after giving them my money would go and it was absolutely first rate. I cant say enough good things about Ra. Great local solar company to work with. Henry the project manager is very patience and help explain to you all the details. Shauna the is very thoroughly and responsive and stay of top of any issues you raised. The only thing that surprised me was the late in the process main circuit panel upgrade "news" (for additional cost) for the original system design. It kind of exceed my budget so had to reduce the number of panels instead. Overall the process went well and on time. The system is up and producing plenty of "kWh". "Great Work by RA Solar"
Every step of the process was really easy, transparent and professional with the team at RA Solar. They were very responsive to questions and thorough in their responses. When we got to the contract phase, they were very clear with the process and made changes and updates as needed. The account rep was very responsive and kept to his installation timeline. They installed the equipment very quickly and the crew was super efficient and careful on the roof and took alot of care and pride in their workmanship. They handled all the permits and PG&E documents and appointments. RA Solar came back after a few weeks at their recommendation and at no charge to relocate a couple of panels on the roof so they would be in a more optimal position resulting in better power generation. I would highly recommend RA Solar based on my experience with the entire process. The team at Ra Solar was easy to work with. They took the time to work through several different options and explained the pros and cons of different configurations. They were responsive to my change requests. The installation was completed very quickly after the contract was signed ( about two weeks, but that likely depends on their workload). They handled all the permits and paperwork with PGE, set up the monitoring service, and even filled out the tax credit worksheet. We did a lot of research before selecting Ra Solar. We got to more than 10 quotes from different installers; some from energysage and several that we found on our own. Ra was the best price and they offered the best panels. I was very skeptical so I asked for several recent customers and called 2 of them. Both had very positive things to say and highly recommended them; so we decided to bite the bullet. We dealt with multiple people. Henry was our PM and did a great job communicating and scheduling things. Shauna worked in the office and did a great job processing contracts, payments, etc. From the day we signed the contract to permission to operate from PG&E, it was less than a month. The whole Ra Team treated us great and got the job done quickly and at a fair price. We have been very happy and would definitely recommend them to anyone looking for a good solar experience. "Awesome on every level - could not have been better"
I was stunned by just how great Ra Solar was. Their quote was the cheapest, even though they were using the same panels as the other quotes. The sales team were helpful and informative. The installation team were friendly, efficient, supremely competent, and happy to answer any questions I had. The post-installation support (getting PG&E the right paperwork, getting a rebate from the manufacturer) has been swift and totally efficient. They got the whole thing done from contract, through permit, installation, inspection, paperwork to PG&E, permission to operate, and manufacturer rebate all in under three weeks, and at every point, I felt they were there 100% for me if I had any questions or requests. If only every company was this good! If my experience was typical - and from the other comments it seems that is the case - you won't be disappointed! I found this company to be super easy to work with, from the quote stage to final install and City inspection , they made the process easy for a layman to understand. The project Manager held my hand at each point of the process, truly thankful to the engineers who drew up the plans for the city and to getting final inspection and kudos to the installers not only for a great job installing but also the cleaning and clearing up after install. "1 Megawatt of Power on April and no gas or electric charges - Awesome"
I picked RA Solar because Varney laid out the advantages and let me think about that, there was no pressure and he delivered exactly what I requested. His workers are extremely professional and respectful. A couple of roof tiles were cracked and they not only replaced those, they replaced some more that were already broken before they started. Any problems were quickly addressed to my satisfaction and they would keep working any problem until it is solved. My project manager was Henry and he made sure that things went smoothly. Tavee, lead solar technician, was very helpful and would take the time to explain some of the technical aspects of the system, since I like learning the details and he did not mind me sticking my nose into everything. Shaun, one of the other techies was also very helpful and he even took the time to check out my home grown solar system. Pepe and his brother are ex-roofers, now solar professionals and they also answered any questions I had about the system. They also repaired my roof (a couple tiles) but went the extra mile and did more than expected. Varney’s entire team are great to work with and their expertise is right up there with the big guys, like Solar City, Sunpower, Sunrun, etc. I got 5 quotes and Varney beat all of them. RA Solar is a small company and they are a local Bay area company and they do not contract their work out, they have their own staff that are employees of the company, so everyone has a strong interest in the company succeeding. It doesn’t matter how busy they are, they will always make time for you. I love my system now, it just works, no muss, no fuss and I have a cool mobile app and PC app to check how the system is doing. I have a 6kw system, December 2017, Jan, Feb and Mar were between 300-700 kwh, but man old man April was 1Mwh (1 megawatt) and that is awesome! I got my April PG&E bill today and I got a credit of -$12.99, total NEM charges to date is -$164.43. My credits paid my gas portion of the bill and I did not pay electric and gas. And to top this off, I did my taxes for 2017 and my solar tax credit of approximately $5000 plus, resulted in me getting a nice refund check from the state and the federal governments. Now that has to be the coolest thing ever. RA Solar is the best and I definitely got my monies worth. I will use them again, if I move somewhere else. By the way, invest in the wiring that goes around the solar panels to keep the critters from moving in underneath the panels. Wanted solar on a 3700sq ft. house. Started with zero about the industry or technology. I found Energysage, which I strongly recommend – they are a wealth of information. They are product and vendor agnostic. Start there - read and research. After learning basic information on Energysage, obviously Google is your best friend. Once I actually understood how we pay for Watts/Kwh from our energy provider and how solar panels capture energy (high level understanding), I had questions that only seasoned solar professions could answer. Note – at this point I’m a potential buyer with a little knowledge, moderate doubt, plenty of curiosity and a healthy spreadsheet. I summited my request for a quote via Energysage. Reviewed maybe 7 quotes. I narrowed it down to 4 and started a healthy discussion with those vendors via email and phone. RA Solar was not in the discussion at this point. Roughly 2 weeks into the process I received a call from RA Solar asking how things were going with the other quotes and if there was anything they can do to earn my business – loved hearing that. I told them if they could match the price range, products (panels/inverter) and experience of the other three vendors, sure. He ensured me he could. Here’s what I noticed right away. The resource from RA Solar had far more knowledge of the industry than the others; his information was more broad and deep (not knocking the others, maybe RA Solar was willing to share more – which matters to a customer!). Essentially instead of just answering the question asked, they educated me with ‘critical’ components of related information to think about. I’m the type of consumer that would research that additional info. and ask follow-up questions, RA Solar (Varney) never hesitated to keep answering my questions. To expand on this slightly… I’m the “that” customer that asks the same company the exact same question to see if the answers sync (Solar is an expensive purchase). Some of the other vendors grew moderately frustrated with my questions and their responses because shorter and response times longer – two stopped responded, I get it. But I also know these are the types of companies that might stop responding if you have issues post purchase. Varney, however, responded nearly real-time with every questioned asked - for me that was critically important as I was doing my research real-time. It showed a focus on the customer. Again, his responses were quality, crisp and thorough (no shortcuts). Guys, every interaction were professional, total business acumen. I never felt like I was working with a fly-by business (longevity is important). Fast-forward, I selected RA Solar and although they were not the best price on the front-end, RA Solar ultimately gave me a really good contract when all was said and done. EXTREMELY competitive. I was surprised!! "Great company and excellent customer service"
Our experience with Ra Solar was great. Varney met with us and patiently answered all of our random questions and, when he discovered that he had given us one piece of misinformation, quickly contacted us and offered a solution that we were happy with. We were pleased with his integrity. Everyone was patient with us as we debated where to place equipment, and were not bothered when we watched like spectators the entire installation. Tavee and his install team worked with my husband to make sure holes in our walls were where and how we wanted them to be. They were friendly and nice. We were happy to have such a fast install after signing paperwork, as we had spoken with other companies that quoted a three-month timeframe for installation. The only snag in the process was a delay in approval from PG&E. A series of small paperwork mistakes made that process last longer than estimated. However, we were always kept informed of the most recent updates, and our emails were quickly responded to with a return email or phone call. Overall, we are very pleased with our experience with Ra Solar. We received great equipment at a great price, and felt taken care of through the entire process. We recommend them to anyone looking into placing solar on their home. "As Good As It Gets! A happy Customer!" Excellent and Responsive Customer Service. RA Solar did what it promised in a timely fashion. Varney, Greg, Shaun, Tavee, Gustavo, Jose, great guys and very helpful. The crew is very well organized and quite knowledgeable. On property they worked clean and detailed. Great Experience. I checked into a lot of systems, RA Solar was the most competitive by a long shot. Great value for the money. Best Value is paying cash if you can afford. System in place for the first month. All is working well so far. More later. "Great Company. Best Equipment. Best Warranty. Best Price. A+ Experience"
I had never heard of ra solar until I got their bid thr Energy Sage. All my friends had either gone Solar City or Petersen Dean...those 'recognized' brand names quoted nearly double what ra solar quoted. And of the 6 quotes I got thr energy sage, ra solar was not only the most cost effective on a $/KW basis, they also offered the best equipment according to energy sage and my own research, as well as the associated equipment (i.e. inverters etc.). I didn't know ANYTHING about solar but energy sage and ra solar have really educated me. I have a friend who installs solar at a corporate level (i.e. industrial solar) for a living and had him check everything ra solar gave me and he said they were legit too. ra solar also gave me the best bid package - in terms of initial picture, initial quote and just general first best impression. Everyone who is lucky enough to get quoted by ra solar should absolutely consider them and know I had a great experience, even though in the beginning - I was like - I've never heard of these folks. Going the direct route where you're not having to pay for expensive TV & radio ads saves you money! It's like going with Charles Schwab vs. Merrill Lynch or a direct online bank vs getting ripped off at Wells Fargo etc. My solar was installed in Walnut Creek and my only regret is that I didn't install MORE panels. My process was quick - from start to finish just a few weeks. Install was less than 1 full day and the install crew (Henry project manager) and Tavee (electrician) were superb. Very clean and cleaned up. Also when I bike around the neighborhood and check out other people's solar install - ra solar was the only one that painted the pipes carrying the wires from the roof down to the inverter. Everyone else has raw exposed steel piping showing but ra solar takes the time to color match to your existing house so the pipes and flashing look like they've been there from the beginning. Ra solar was also extremely responsive - we did most of our comm via texts and it worked great. In the end of the day, I am not worried that I had never heard of ra solar - the 25 year warranty on the inverter and panels is with those companies anyway. 2) The mounts they use for the solar may not be as flush as the ones you see from solar city - so if you want that 'look' - just tell them. My panels are on the back of the house - so I didn't care and it was cheaper this way. 3) Energy sage was very helpful in walking thr my quote with me to educate me along the way. 4) If you think you'll need your roof redone in the 25+ years the panels will be on your roof - ask them to include a dis-install / re-install on your final contract so you have in writing for the future. We chose RA Solar because they not only had the best price but also the best product and design, an unbeatable combination! The pre-installation process was easy and we got good information about the progress. Installation went well and they were able to handle our tiled roof without any issues. System is up and running for a month and producing at or above prediction. Would recommend RA Solar to others.  11/22/17: I may be the first to put a review of RA Solar on Energysage but I found others on Yelp. Just like the others my experience is a positive one. Once I reviewed the different quotes I received through Energysage, RA Solar was the best choice for me. They were responsive to my inquiries and accommodating with adjustments I wanted. They were knowledgeable and had the answers I needed. They installed top notch parts and components and they took care of all the paperwork. The workers were quick and efficient. I never had to make a service call but I gave them a 5 star because they followed up with me to see if I was happy with the installation and if not was there something they could do to fix it. "RA Solar is Just awesome !" FInally got to know about RA solar thru energy sage site. They were cost efficient, had the best warranty and the panel ! Overall it was truly an outstanding experience from start to finish. The entire process took less than 3 weeks ! I worked with Varney and he is outstanding. Always available and very quick to respond. I highly recommend RA Solar - for the quality of work,Speed,Panel Quality and customer service. "Wow" is my experience. I met with 6 different companies and with 6 different experience. I never heard of RA.Solar until using energysage and met Varney. I was a bit worry since I never heard of them. I have to say he is friendly to work with and text response is fast. They have different team mate incharge of, sales, design, install, & permitting. So everything moved extremely fast. I got everything done including permit within a few weeks. The installers did a better job on the conduit bending work then my AC guys. I'm happy with price and value. Highly recommended!! "Go Green Go Ra Solar!" Ra Solar helped me all the way from pre start to finish our solar project. Henry was my point of contact in sales. He has the knowledge and skills about solar system. He explained all about total cost, benefits, ITC credit, installation and permitting etc. The installation crew was awesome and friendly and most of all they were highly experienced. 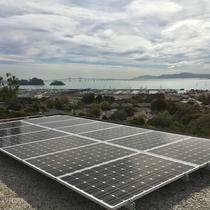 We are glad we chose Ra Solar one of the bay area's best company to go green. I recommend Ra Solar to anyone out there who wants to get solar for home or business! "Professional service with great value"
Ra Solar installed mine solar panels recently and now I am enjoying green energy flowing throughout my house. They came up with the best design that fits the shape of my roof. Installation was fast and professional. Tarvee lead his team taking care every aspect of the installation. They even cleaned up the site after they finished as if nothing happened. With the top quality of their equipment and excellent service, it's a no brainer to pick them for your next solar installation.